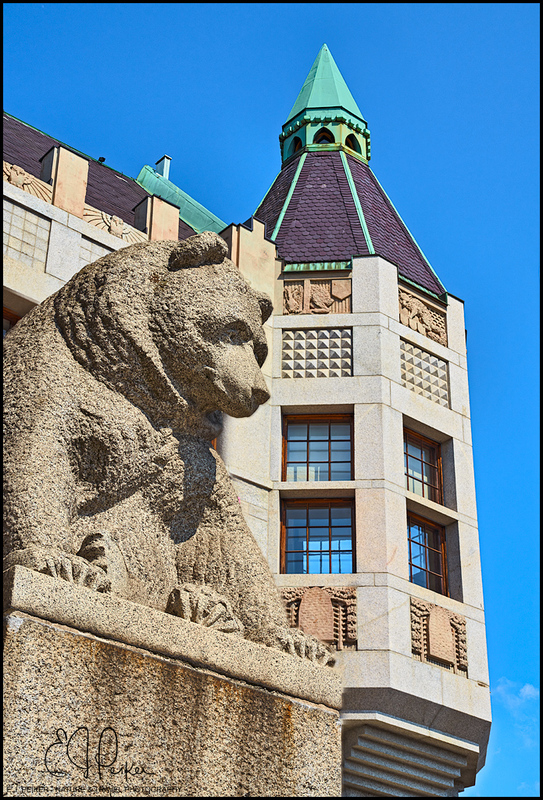 The national animal, the bear guards the entrance to the National Museum of Finland. What a wonderful perspective on the bear and the gorgeous architecture-this picture is a work of art in itself. Makes me wonder what the rest of the building looks like- love seeing the animals owls and carved in the tower and side of the building. Your travels bring us all a sense of the beauty everywhere in this world. Great perspective to catch that rather benevolent expression and downward gaze of the bear, then the eye is drawn nicely upward to appreciate the interesting points on the museum architecture.